This is it! Only a few NEW homes by McStain remain in Indian Peaks. MAIN FLOOR MASTER on the back side of the home opens which to covered patio. Lovely kitchen opens to family room with soaring vaulted ceilings. Hardwood on the main level except for the bedroom. SS appliances, Quartz countertops. 3 large bedrooms up. Full unfinished basement. Fully landscaped & fenced. 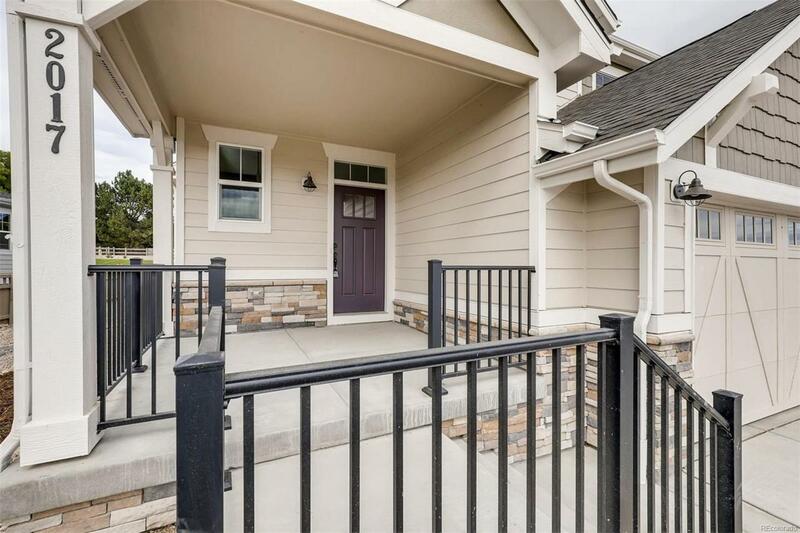 Don't miss this opportunity to live in the established neighborhood of Indian Peaks. Adjacent to Indian Peaks pocket park and trailhead.